Engineers from Dartmouth's Thayer School of Engineering have produced a new imaging technology that may revolutionize medical and life sciences research, security, photography, cinematography and other applications that rely on high quality, low light imaging. 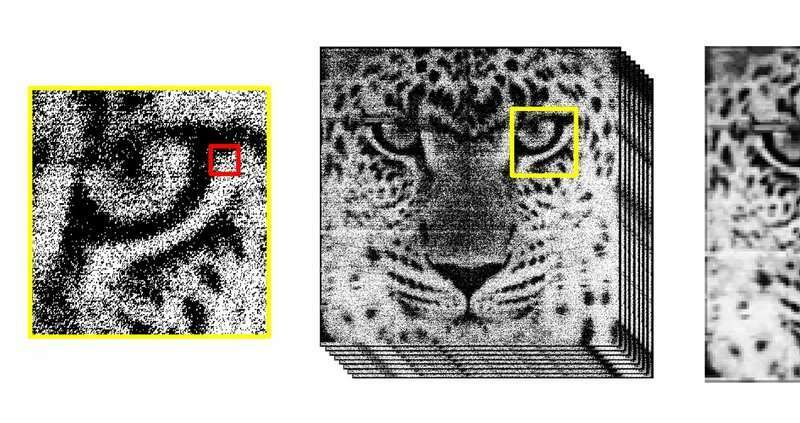 Called the Quanta Image Sensor, or QIS, this next generation of light sensing technology enables highly sensitive, more easily manipulated and higher quality digital imaging than is currently available, even in low light situations, according to co-inventor Eric R. Fossum, professor of engineering at Dartmouth. Fossum also invented the CMOS image sensor found in nearly all smartphones and cameras across the world today. Documented in the Dec. 20 issue of The Optical Society's OSA Optica, the new QIS technology is able to reliably capture and count the lowest level of light, single photons, with resolution as high as one megapixel, or one million pixels, and as fast as thousands of frames per second. Plus, the QIS can accomplish this in low light, at room temperature and while using mainstream image sensor technology, according to the Optica article. Previous technology required large pixels or cooling to low temperatures or both. What does this mean for industry? For cinematographers, the QIS will enable IMAX-quality video in an easily edited digital format while still providing many of the same characteristics of film. For astrophysicists, the QIS will allow for the detection and capture of better signals from distant objects in space. And for life science researchers, the QIS will provide improved visualization of cells under a microscope, which is critical for determining the effectiveness of therapies. Building this new imaging capability in a commercially accessible, inexpensive process is important, said Fossum, so he and his team made it compatible with the low cost and mass production of today's CMOS image sensor technology. They also made it readily scalable for higher resolution, with as many as hundreds of megapixels per chip. "That way it's easier for industry to adopt it and mass produce it," said Fossum, who was recognized earlier this month at Buckingham Palace for his role in developing the CMOS image sensor. On Dec. 6, Charles, Prince of Wales, awarded Fossum the engineering equivalent of the Nobel Prize, the Queen Elizabeth Prize for Engineering. "The QIS is a revolutionary change in the way we collect images in a camera," said Jiaju Ma who co-authored this month's Optica paper with Fossum, Saleh Masoodian and researcher Dakota Starkey who is currently pursuing his Ph.D. at Thayer. Ma and Masoodian received their Ph.D.s in electrical and electronics engineering from Thayer and are co-inventors of the QIS with Fossum. With this combination, the QIS captures data from every single photon, or particle of light, enabling extremely high quality, easily manipulated digital imaging, as well as computer vision and 3-D sensing, even in low light conditions. While the current QIS resolution is one megapixel, the team's goal is for the QIS to contain hundreds of millions to billions of these jots, all scanned at a very fast rate, said Ma. Earlier this year, Masoodian, Ma and Fossum co-founded the startup company Gigajot Technology to further develop and apply the technology to a number of promising applications. Expect this will be instantly picked up by astronomers. Might be great for cheap "starlight" night vision. I cannot wait!